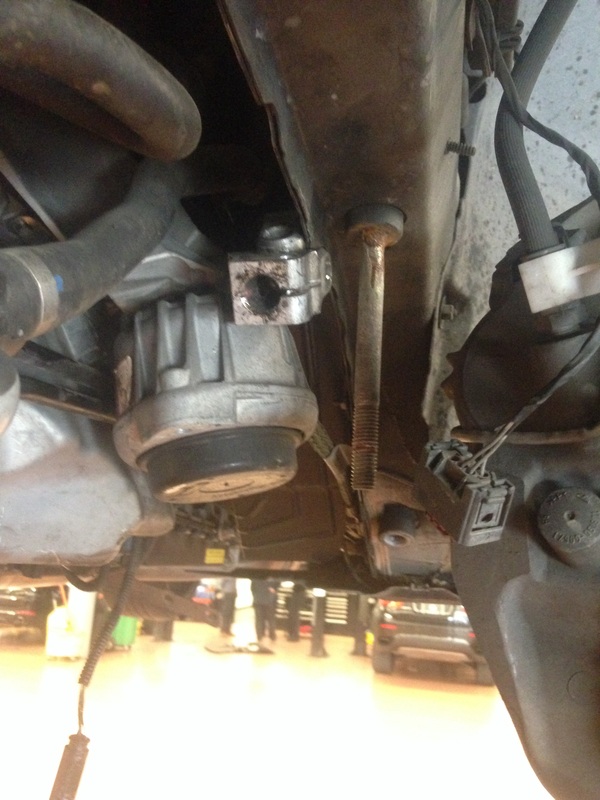 I love stupid things people do,,,,or better yet what other repair shops or body shops do sometime,,,,here a picture of a 2011 335i we lower the subframe to do turbos on the car and noticed that one of the subframe bolts was replaced with a stud welded into the frame of the car. 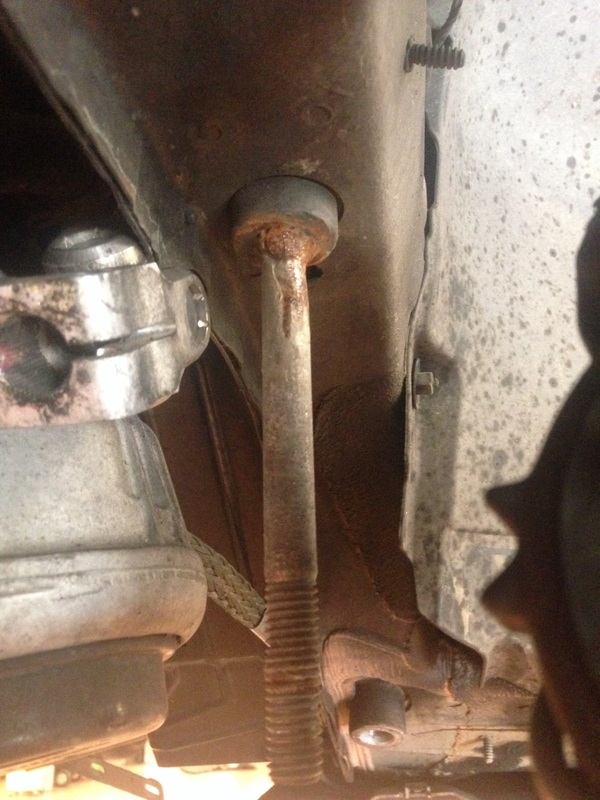 Here’s a closer picture,,,,see that’s where the subframe bolt would normally screw in to,,,,but instead someone welded in a stud and a nut on the end,,,,,I guess it works,,,,looks like a body shop repair,,,,the car was probably hit at one time,,,,just a cheap fix without the customer knowing. This entry was posted in Uncategorized and tagged 335i, E90, Subframe. Bookmark the permalink.